Red Star Audio work with hundreds of musicians and artists, each having their own unique talents in audio production and sound design. By tapping into this resource we can offer custom audio productions for use in TV, film, multimedia and computer game soundtracks. 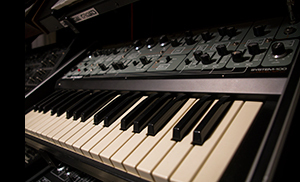 Wherever music and sound FX are required, we can offer a comprehensive solution tailored to your exact requirements. Please get in touch to discuss your project and we will provide options best suited to your budget from licensing options of existing material to bespoke audio productions and sound FX recorded using our wide network of musicians, producers and foley artists.